Carteret County health officials want feedback from residents as they prioritize health needs in the community, and create a plan to address those needs. On Tuesday, the Carteret County Health Department and Carteret Health Care held a forum to present findings from the focus groups and the surveys. Those in attendance ranked their top three areas of concern based on impact, urgency, community concern, and the likelihood of progress being made in three years. Jones said it’s not too late for Carteret County residents to select their three priorities. Jones said North Carolina law requires all 100-counties to develop a health needs assessment every three years. Health officials in Carteret County will meet with leaders in 33 other Eastern North Carolina counties on Feb. 28th to identify regional challenges. 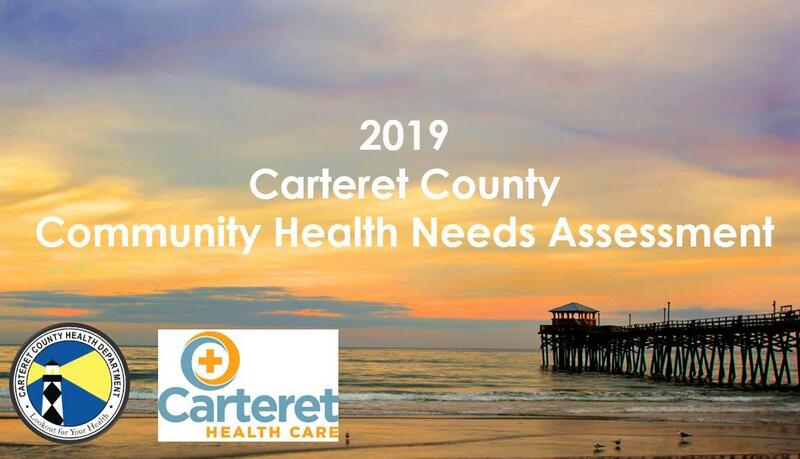 Carteret County's final Community Health Needs Assessment report will be published on May 1st.